I want to transfer my voice memo files on my Macbook Pro, but I didn't find anything that would do it on iTunes. I saw that I can send an email from the iPhone with the file, but my files are too big. Is there a way to transfer them to my computer? Thanks in advance! Voice memos could be a frequently overlooked but ever-useful feature on your iPhone. Every time when you're too busy to stop and write something important on paper or take notes on your device, you can still keep all messages you need by recording the whole conversation with the iPhone voice memos feature. Cool, right? However, when more and more voice recorders are kept on your iPhone 6 Plus or iPhone 6/5S/5/4S, your iPhone storage will become more and more smaller, and one day the device may require you to delete some files from the iPhone because the device is out of space. What will you do here? Why don't you move some large files like voice memos, videos or something like it from your iPhone to the Mac computer for backup and free more space? Not a bad idea, right? Just like the case above mentioned, iTunes have no ability to help you export iPhone voice memos to Mac computer indeed, and move them by sending an email also seems to be impossible due to the large size. 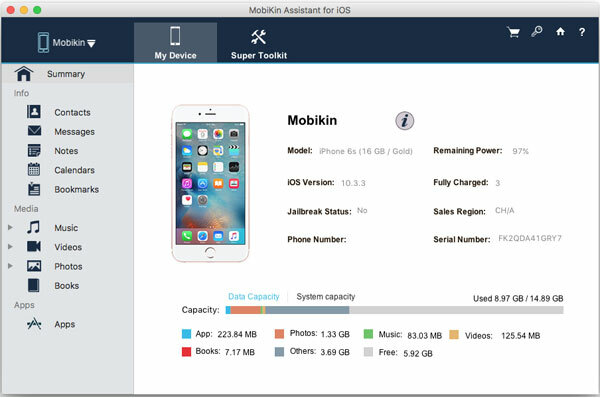 Therefore, MobiKin develop a tool called MobiKin iPhone to Mac Transfer to help you achieve the goal. With it, you can selectively transfer iPhone voice memos to Mac computer or export the whole folder of voice memos on iPhone 6/5S/5/4S to Mac as you like. 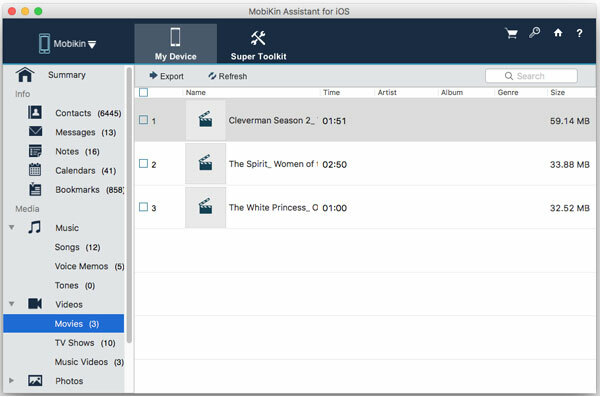 And the program allows users to manage other files like photos, movies, playlist, books, etc. on the all models of iPhone with zero limitation. Now, you can free download the software to have a try, Windows users can click here to learn more details about the topic of transferring voice memos from iPhone to computer. Be note that iTunes are required to be installed before running the program, but it is no need to run it for preparation. When files on your iPhone are all scanned by the program and displayed in the left panel, you can choose "Voice Memos" to see the whole voice list in the program. Mark the file you wish to backup on Mac and hit "Export" button to save them on your Mac computer. If you're going to move the whole iPhone voice memos to the Mac computer, you can click "File" > "Export All Voice Memos" in the top menu on your Mac computer easily. Now, just click the below icon to get this powerful program to have a try!